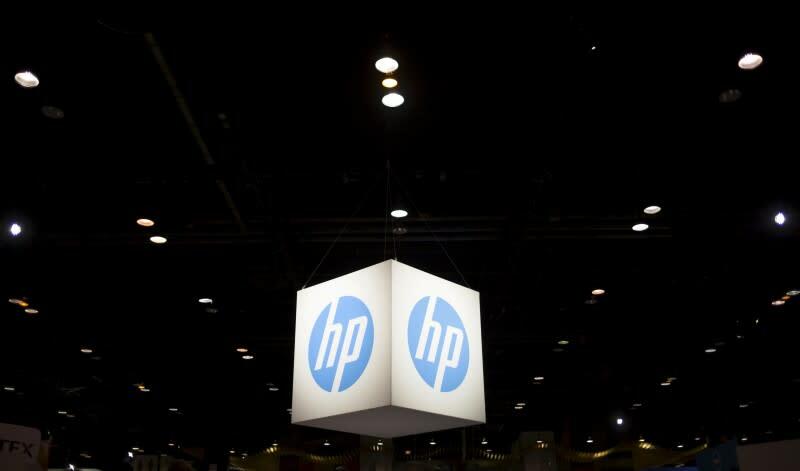 (Reuters) - Shares of HP Inc (HPQ.N), which houses the legacy printer and PC business, soared as much as 14.4 percent on Monday, while those of Hewlett Packard Enterprise Co (HPE.N), considered the faster-growing of the two, fell as much as 5.8 percent. The shares of the two companies, carved out of Hewlett-Packard Co, were trading for the first time since the formal split on Sunday. Hewlett Packard Enterprise's (HPE) shares rose as much as 3 percent in early trade, before reversing course twice in volatile trading. HPE, with Meg Whitman at the helm, holds the tech pioneer's corporate hardware and services division. "I think people see more opportunity for upside in HP Inc earnings and more aggressive return of cash to shareholders," Cross Research analyst Shannon Cross told Reuters. HP Inc will benefit from an expected improvement in the PC market in 2016 and cost-cutting in the printer business, while HPE remained a "show me" story, she said. "I think the enterprise business is not getting quite the uplift because it was already trading ... at a higher multiple." HPE shares had been trading on a when-issued for the past two weeks. HPE had a market capitalization of roughly $27 billion (£17.51 billion), while HP Inc, led by Dion Weisler, was valued at about $22 billion after the split. Hewlett-Packard Co was founded 76 years ago in a Palo Alto garage by Bill Hewlett and Dave Packard and went on to become one the most storied companies in technology. However, the company struggled in recent years as it failed to keep up with newer technologies and trends, such as the shift by consumers to smartphones and tablets and by businesses to the Internet to store and manage large amounts of data. Whitman, who announced the split in October 2014, has been driving a multi-year restructuring involving cost cuts and more focus on higher-margin sales, along with a string of acquisitions. The company had said in September it would cut about 33,300 jobs over three years – 30,000 at HPE and 3,300 at HP Inc – on top of about 55,000 layoffs previously announced under Whitman. HP Inc shares closed up about 13 percent at $13.83 on the New York Stock Exchange, while HPE shares closed down 1.6 percent at $14.49.